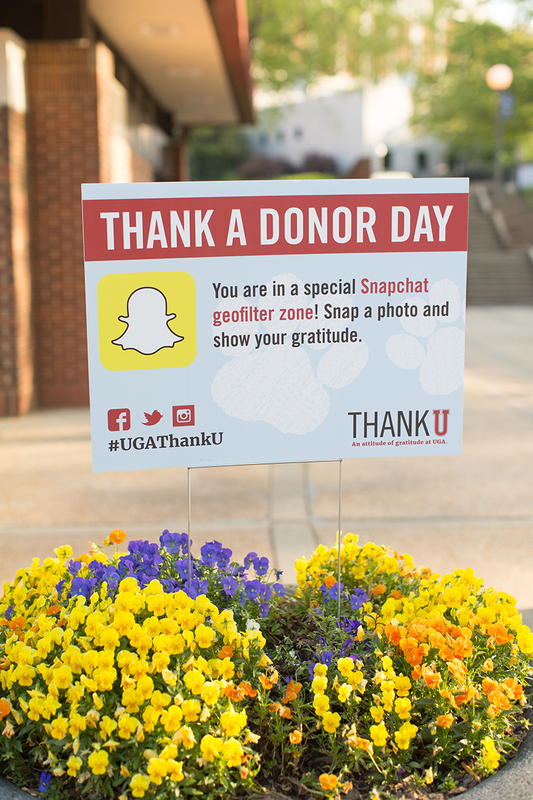 Thank a Donor Day is UGA’s way of thanking those who give. 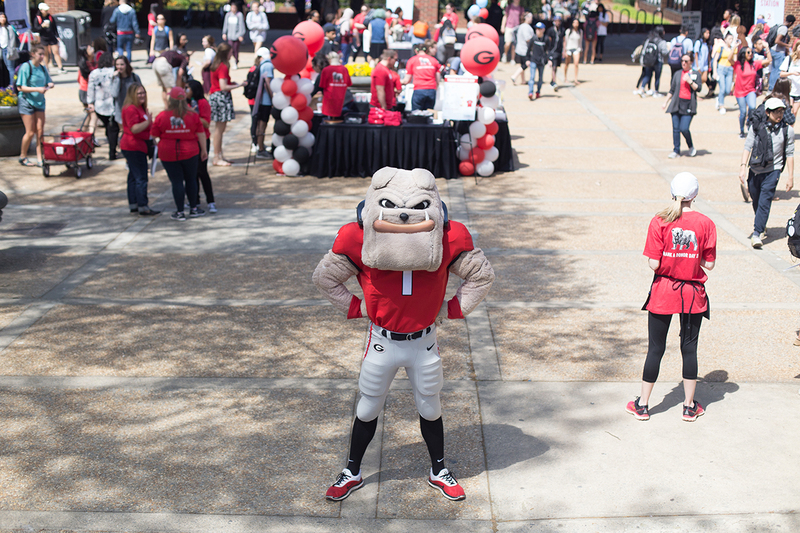 Every year, UGA throws a block-party-style event in Tate Plaza, filled with music, activities and prizes, providing for all those who attend an overall happy feeling. As a student intern for UGA Development and Alumni Relations, it pained me (and my bosses) to admit that I had never attended Thank a Donor Day, so this experience was new for me. I was sent to the event with one mission: be a student. My assignment was to attend Thank a Donor Day on April 12 to view and capture the event from a student perspective, and to understand how important our donors are, even for an undergraduate like myself. Simple enough, so I assumed. From a quick glance, the event seemed like a chance to earn some free swag or even take a picture with Hairy Dawg. In reality, it was so much more than that. There is nothing simple or easy about comprehending the impact of donors choosing to give back to UGA. Everything we see on campus (and even beyond) is because of the donations UGA receives, and that is a big concept to grasp. Thank a Donor Day encourages students and faculty alike to take a step back and reflect. Whilst dancing to the music and signing the really big card, you are inclined to think about what being a Georgia donor means. Having experienced Thank a Donor Day first-hand, I am more aware of exactly how private donations impact my daily life here at Georgia. As a double major and scholarship recipient, donors have opened doors for me that would have otherwise been nonexistent. I was able to study abroad, explore my career and succeed at school thanks to their contributions. 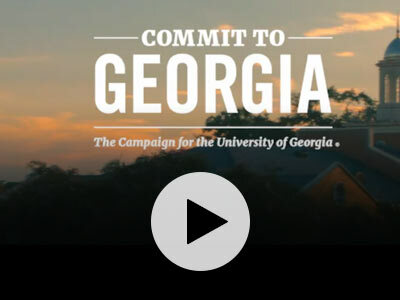 I now feel compelled to show my gratitude for UGA donors and encourage you to do the same. And not just at an event in Tate, but every day while you walk up Ag Hill or chase after that Orbit bus. 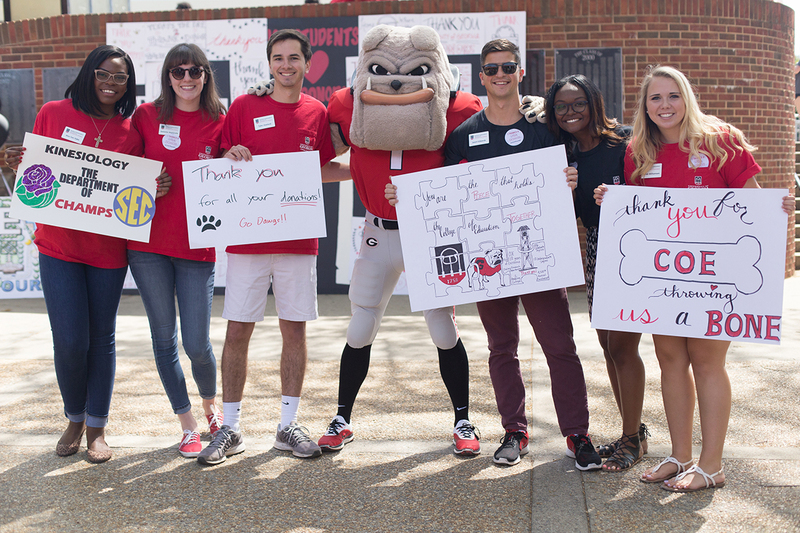 Think about the life-changing experiences you’re having at UGA and know that is because a donor chose to give back.